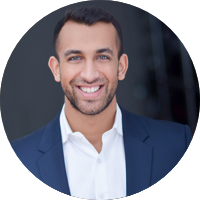 Krish is an Entrepreneur and Leadership Team Member specializing in the areas of web and mobile technology operations, product development and commercial strategies. Brand New Matter is a strategic advisory and venture capital firm based in NYC. Their team of seasoned entrepreneurs, executives and investors understands firsthand the challenges that companies face. Founders Thomas Sparico and Brian Harniman met as members of the founding team at Priceline, and have been building, fixing and scaling businesses ever since.